Answering questions that haven't been asked or responding to accusations that haven't been made has become a bit of a hackneyed technique but still quite effective at pushing focus away from the real subject matter for those who haven't followed it closely. Reading that post, I would like to think the PPRuNe Moderators would like to express an opinion. I have been a member of PPRuNe for 15 plus years and in all that time I have tried to obey the rules of the site, whilst expressing my opinion of all matters aviation, in which I was professionally involved for 29 years, with professional experience (lots of it) in search and rescue, sea survival, human factors, flying operations and the training and development of young aviators (and plenty of other things too.) Once, early on, I strayed over the line and was a tad too sarcastic, and received a minor rap on the knuckles...since then I have a clean rap sheet over many years. the PPRuNe chat forum has been awash with repetitious and abusive messages from a small group of trolls with an impressive capacity for hatred. PPRuNe Moderators do not allow abusive message (or anything even close to them). They never have, such comments are moderated off and the posters are sanctioned. small group of trolls with an impressive capacity for hatred.
. Misogynistic...what does she call herself again...The Bird in a Biplane, well I guess irony is lost there then? Anyway I digress, Her public comments paint a pretty damning and unjust picture of the PPRuNe forum. Are the moderators not inclined to post a rebuttal or perhaps even contact the LAA and refute her remarks? Or does her reach stretch this far? Last edited by The Old Fat One; 3rd Oct 2018 at 06:15. However, it is up to the members of the LAA to reflect and vote accordingly at their AGM. Thank you TOFO, it hasn't been nice being subject to this kind of vitriol after years of volunteering keeping the trolls away (and often getting a great deal of abuse from them as well as a result). Also, PPRuNe Chat was disabled about 12 years ago so not sure where these trolls with their immense capacity for hyperbole, sorry, hatred, are lurking. Could you point me to where the post is that has that quote? Thanks! You are welcome. It's just above( #60) posted by one of your fellow mods and copied from the LAA Forum. Perhaps a member ought to raise an agenda item for the next meeting, to suggest that the association should be divorced from the back slapping and award giving "business" that has evolved into this mess. The statutory requirement to be aligned with a body which provides technical expertise, should not compel an owner to be party to political and PR based events. As a driver, I can decide whether or not I join the AA, but I have no choice in complying with the rules laid down by the DVLA. That means I can drive my vehicles, without being part of the business that sells books on every subject under the sun, and wants to pester the membership with offers for holiday insurance. I see nothing wrong in the LAA giving scholarships and awards, apart from the legislative requirement for being part of that, simply because I want to fly a Permit aircraft. Perhaps a member ought to raise an agenda item for the next meeting, to suggest that the association should be divorced from the back slapping and award giving "business" that has evolved into this mess.. Why?? Over the years the PFA/LAA has handed out awards to hundreds of individuals. This is the first time I can recall there being any serious controversy or dispute. Why do away with an award system because one "bad apple" has turned up in the barrel ?? Throw out the "bad apple" not the barrel. Ah I see it now, Thanks! suggest that the association should be divorced from the back slapping and award giving "business" that has evolved into this mess. This. It appears that the award issuing business has degenerated into a person making a big fuss to get patted on the back. It's one thing to be offered a commendation by your peers, it's a whole other thing to go on the offensive to get it (or in this case get it restored) - that's just embarrassing! It sounds to me that Tracey would like to stand at the door at the AGM, and ask every member walking in: "would you please give me an award?". I can't imagine the lack of personal self esteem which enables that! As I understand it, the only value this award can offer the recipient is one of public perception. If the recipient has yanked it away from the LAA by coercion, rather than grace, has it retained any value? Would the award to be return with a statement of: "Fine. He's your darned award back."? Where's the pride in that for anyone? If the LAA cannot distinguish itself by giving awards of merit, with pride, and large agreement within the group, the award should not be given - let alone regiven! I recall that the Nobel committee declined to present a particular award this year, as there was a recent scandal to do with a recipient, good on them! If the path of an award is tainted, it should not be given, any organization must maintain it's proud public image in general, over the desires of one member, and perhaps a few supporters! It does unnecessarily taint the award which is after all a memorial to Bill Woodhams. It does unnecessarily taint the award which is after all a memorial to Bill Woodhams. mike hallam. Exactly the problem is NOT the LAA or its award system. It is the recipient of one of those awards. According to her, she was happy to leave it alone. However now the LAA has started proceedings, to do what remains a mystery, and therefore is far from being without blame in the course of this all coming to the attention of the public once more. To be fair, "Bird in a Biplane" is a reasonable attempt at alliteration. "Bird and a Bloke in a Biplane" would be even better, of course. Bird is derogatory. May as well have been Babe or Bint in a Biplane. I am almost starting to feel a tad sympathetic towards her now . All this is really starting to mightily close in on her . The outcome of this AGM vote , whichever way it goes will do neither her nor the LAA any good whatsoever . It literally is a ticking time bomb now and I have just finished my post on LAA's forum with an appeal to see sense before Oct21st ! The self-induced stress that Ms Curtis-Taylor is now under is further magnified by the Winslow AZ incident. Fuel contamination ? No way ! An aircraft which refuelled at the same time and was flying in proximity to the a/c in question suffered no such defect. How can an engine quit at 50' AGL and the pilot not get it back on the runway ? 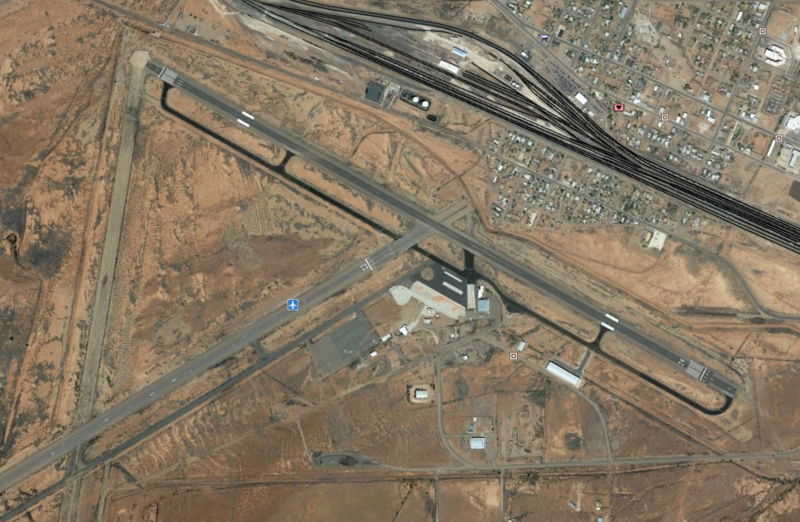 Winslow's runways are 5,000' and 7,500' in length . Plus the issue with the 2 x P1's. I think that Tracey should be given the chance to start September 2018 all over again . I was under a complete misapprehension about Winslow untlI I looked it up on Google Earth. From her account I had somehow imagined it to be a tightish dirt strip, surrounded by some obstructions ,with their being refuelled from a simple pump, possibly under poor supervision technically. 29 (IIRC) is the fully paved runway they took off from and it has about 6,000 ft. between the piano keys. Even taking into account density altitude effects ( and I have landed "firmly" on one unforgettable occasion due to not fully appreciating this ) something doesn't quite gel. The AGM documentation and Motions are now on the LAA pages for all to read. Motion 1 is indeed strangely worded - hence David Mole's Motion 2 and his justification: "I am concerned that the Motion which has been advanced over Stewart Jackson's name is unclearly worded,"
29 (IIRC) is the fully paved runway they took off from and it has about 6,000 ft. between the piano keys. My flabber has never been so gasted that this utter nonsense has reared up again. She is a Charlatan of the highest order and in my view (we're all entitled to one) has no place being re-awarded this pot. I will continue to watch, open-mouthed, as this unfolds. If she IS re-awarded, I would discontinue my LAA membership, other than the small detail that I need to be a member to get a permit on my aeroplane. And by the way...MY aeroplane means it belongs to me. Not my instructor/mentor/second pilot/passenger/bla bla. Last edited by SFCC; 3rd Oct 2018 at 17:47. "I am concerned that the Motion which has been advanced over Stewart Jackson's name is unclearly worded,"
"It is true to say that the Woodhams award to Tracey Curtis-Taylor was made by the LAA Awards Group, chaired by Harry Hopkins, on the basis of her flight to South Africa in a Stearman biplane. IIRC that mistake has appeared before in print.